Chinchilla Limited Case Studies. See the latest projects, inside information and inspiration. A beautiful project: To SuperHuge 3D print, hard-coat and finish a large lion sculpture. Uniquely encapsulated and used as a focal point at London Cocktail Week. 3D Scanning an antique car part, and creating a 3D file ready for 3D printing of replica components. 3D scanning an antique car part, then rebuilding the missing elements to create a 3D print-ready file. 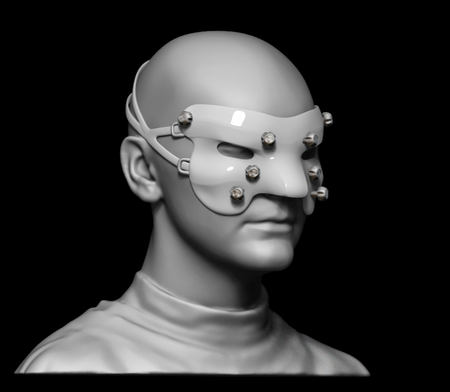 Using a head scan as a starting point to design a "Sinusitis Mask" simulating Sinusitis to the wearer - created to increase awareness of the debilitating condition. A great project: To SuperHuge 3D print, hard-coat and finish a large model hand. 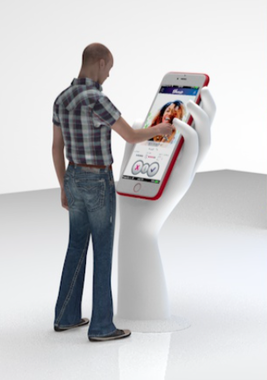 An information point for an exhibition.